I live, work, worship or attend school in a county in Vermont. I live, work, worship, volunteer or attend school in a county in Michigan. I have a loan in process. My relative is a member of the credit union. I work for or retired from one of the following employers. I work for a health care related organization in a county in Michigan. Checking made easy and affordable. Open a NEFCU Share (Savings) account with a $5 minimum and start saving today. Save at higher money-market rates with a NEFCU Power Account, while maintaining easy access to your money. Please attach the identification you are using to open your account. 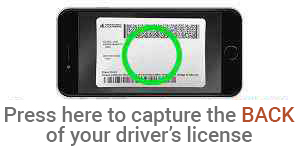 Speed up your application process by taking an image of the back of your US driver's license. If you do not wish to use this feature, simply click Continue to enter your information.